Succulents have become some of the most popular houseplants, and with good reason: they’re easy to grow…most of the time. But what happens when a plant outgrows its pot? Did you know succulents can get sunburned? How do you turn one plant into more plants? In Succulents at Home, expert gardener John Tullock addresses these questions and many more. Here, readers will learn to make the most of their plants from the how and why of soil and container choice to step-by-step instructions for repotting, propagating new succulents, and creating arrangements like terrariums and wreaths. The book is complete with a catalog of 75 species—flower-shaped echeverias, pointy hawthornias, flowering kalanchoes, round mammillaria cacti, and more—which explains special care instructions for each variety. 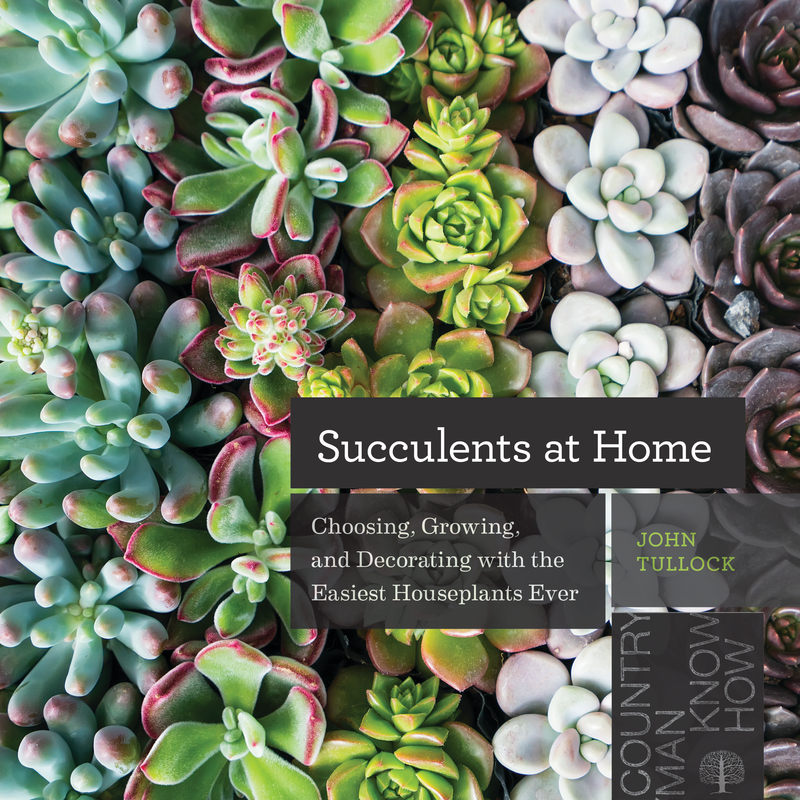 Tullock’s friendly voice and years of experience, and more than 100 color photographs, make this a must-have guide for fool-proof succulent gardening. And with a focus on growing succulents to enjoy indoors, this is a book for plant lovers in all regions and climates. John Tullock teaches classes on food gardening for the University of Tennessee Gardens and gives presentations throughout East Tennessee. He is the author of numerous books including Appalachian Cooking and Pay Dirt: How to Make $10,000 a Year from Your Backyard Garden. He lives in Knoxville, Tennessee.